The Earth Hums in B Flat is a story of dark family secrets unraveled by the shrewd insight of twelve-year-old Gwenni Morgan, a child with an irrepressible spirit living in a Welsh village that is reluctantly entering the modern age. When I sang the note to Mr. Hughes he said it was B flat but he laughed when I said it was the note the Earth hummed. He doesnt know how the Earths deep, never-ending note clothes me in rainbow colors and fills my head with all the books ever written. I could stay up here forever without the need for anything else in the whole world. The Earth Hums in B Flat is a story of dark family secrets unraveled by the shrewd insight of twelve-year-old Gwenni Morgan, a child with an irrepressible spirit living in a Welsh village that is reluctantly entering the modern age. A dreamer with a knack for collecting and piecing together tidbits of information she overhears, Gwenni is forever asking unanswerable questions. From the small bed that she shares with her sister at night she flies up into the starry sky above her village and looks down on the lives of its inhabitants. And when the family that she babysits for is rocked by the sudden, unexplainable disappearance of their patriarch, Gwenni is determined to solve the mystery of Ifan Evans's whereabouts. Turning amateur detective, she is unaware that the trail will lead her closer to home than she ever imagined. Told with a breathtaking, irresistible blend of freshness and wisdom, the voice that sixty-two-year-old Welsh debut novelist Mari Strachan has created with Gwenni is vibrant, charming, and full of heart. An unforgettable character, Gwennis unique way of seeing the world lends her the ability to make the ordinary extraordinary. A magical novel about the trials of youth, familial duty, and understanding, The Earth Hums in B Flat will transport you to another time and place. I fly in my sleep every night. When I was little I could fly without being asleep; now I cant, even though I practise and practise. And after what I saw last night I want more than ever to fly wideawake. Mam always says: I want never gets. Is that true? Last night began like every other night. I went to bed and changed under the bedclothes so Buddy Holly couldnt see me, and I laid my pink polka-dot hair ribbon down the middle of the mattress to show which side was whose, and Bethan said, like she always does: I dont want to sleep on your old side, anyway. Then, as soon as she was snoring she flung her arm across my face, and when I pinched her she swung her leg across my stomach. The Earth Hums in B Flat is a magical, literary and thoroughly enchanting debut. Gwennie's voice is perfect, she's charmingly naive and we learn about life along with her as she maneuvers through the complex and quirky characters of the story. Her tale has somewhat of a 'Harriet the Spy' feel to it as she attempts to take on a local missing persons case. The last fifty pages nearly took my breath away they were so beautiful. This book will also make a terrific young adult crossover, perfect for mother-daughter book clubs. - Linda G. (Reviewed by BookBrowse First Impression Reviewers). The author's debut novel has made her one of the Waterstone's New Voices for 2009 and it's easy to see why. Her quirky and charming tale stands out due to its blend of realism tinged with fantasy. Strachan's deft handling of a dark subject is both sober and sparkling. 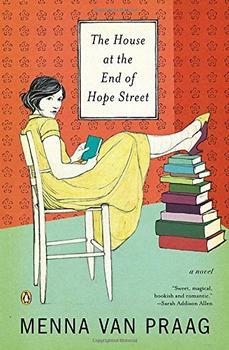 A blend of magic, detective tale and bildungsroman, Mari Strachan's debut novel is full of quaint charm. Gwenni’s inventive take on the world – from the faces she sees in the wallpaper to her belief that a neighbour's fur stole blinks at her – is a delight. It would be tempting to label The Earth Hums in B Flat – in which an 11-year-old girl investigates a disappearance in a small Welsh town in the 1950s – as Under Milk Wood meets What Was Lost, but Strachan has a voice and a vision all her own. A lyrical debut ... [Strachan's] light touch keeps the story unfamiliar and surprising, while Gwenni's uber-precocious narration revels in a love for language and reveals an unspoiled innocence about the world. It's small, quiet and nicely done. The Earth Hums in B Flat is a richly evocative, warm but unsentimental tale of a child detective struggling to piece together clues about the lives around her. These lives, and the characters who live them, are so vividly drawn and Mari Strachan's careful unraveling of the secrets they hide is extremely compelling. I loved this novel. There are certain books that take you outside the page and become experiential—where you feel the dew-soaked grass on your legs, smell the dank air, squint in the darkened corners of the room, hear the shrill edge in the voices around you. The Earth Hums in B Flat is one such book that transports the reader into the life of Gwenni, its young narrator. Through Gwenni’s innocent eyes we see the world as she does. Wales, located on the south-west peninsula of Great Britain (the main island of the United Kingdom) is one of the four constituent nations of the UK, the others are England, Northern Ireland and Scotland (map). Its population is about 3 million (5% of the UK). For more about the history of Wales, see the sidebar to The Welsh Girl.